Alterations: Standard fitting alterations only! Elegant mermaid wedding dress in crepe and lace with a subtle bateau neckline and short sleeves. Lace and buttons decorate the back. 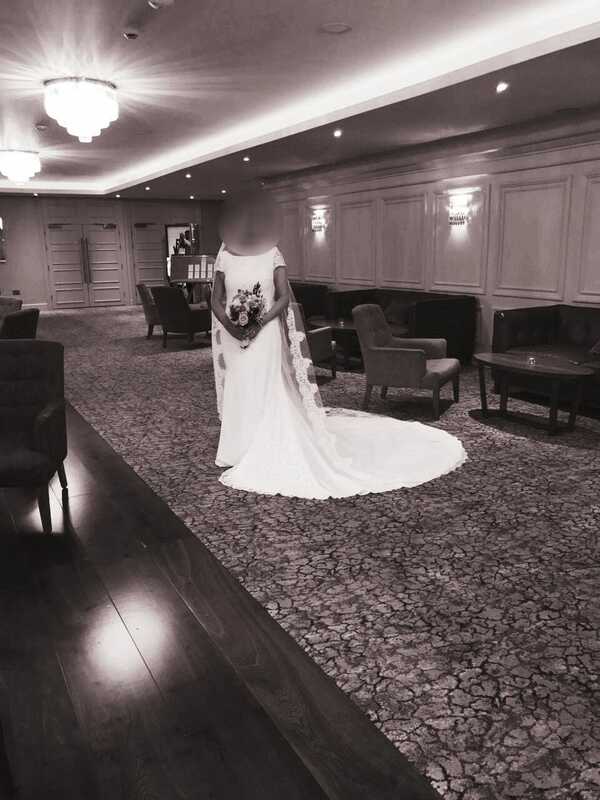 Bought dress from the Bridal Boutique in Fairview Dublin for Wedding November 2017. 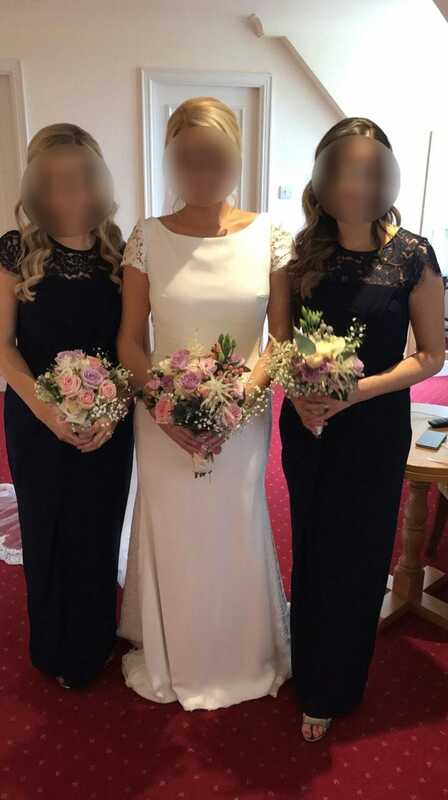 Dress was Professional Dry cleaned by Specialist Company at a cost of €200 and kept in sealed storage. Dress is absolutely 100% immaculate condition. 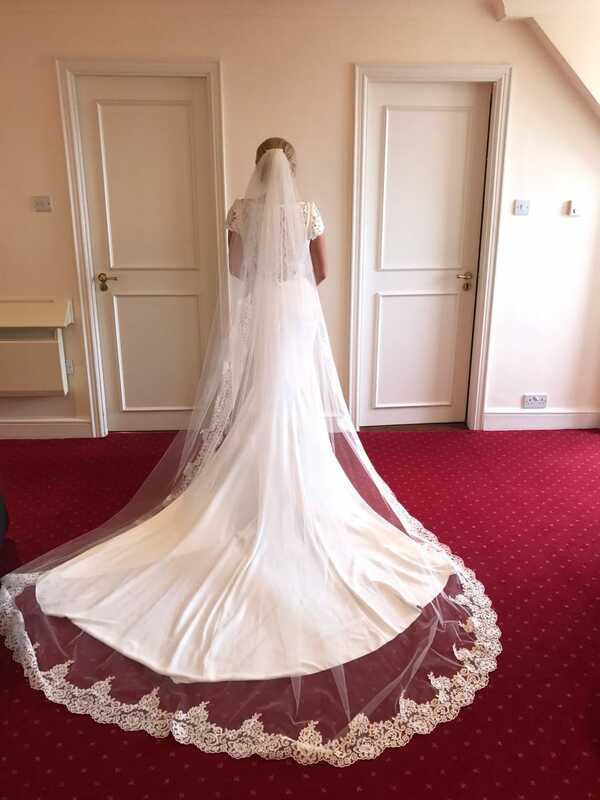 Dress will come with a Luxury Lace Veil, bought from the Bridal Boutique in Fairview at a cost of €300. All records and receipts available!